Apex Within produced one of the performances of his career when he defeated a strong field in fast time last night at Sandown Park. He jumped well from box 6 and scooted around the outside of Bourbski Bar to take the lead first time past the post. He was threatened by My Bro Kade in the turn for home but held the challenge at bay, going on to win by 2¼ lengths in a very sharp 34.01. 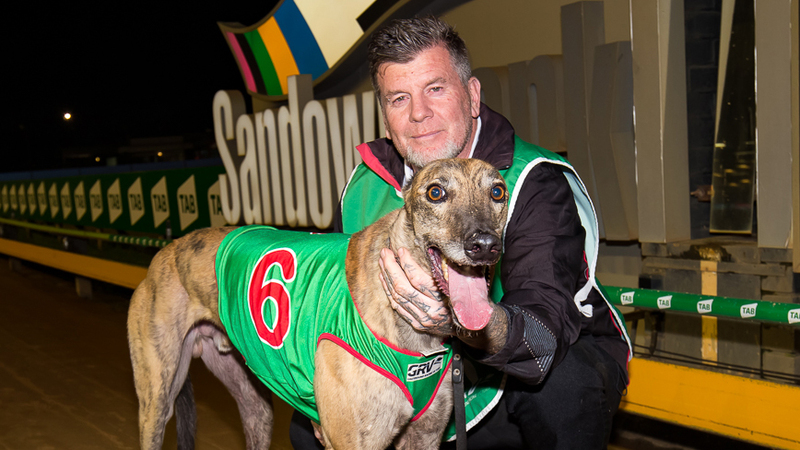 “He’s a very fast dog, he just needed to get a bit of luck on the bend start,” said trainer Rod Clark on his way back to the kennels. It was Apex Within’s 19th win of his career and clearly one of the most impressive. Clark has been training greyhounds for 27 years with 17 of those with full time commitment. He was introduced to the sport when striking up a conversation with a neighbour at a young age. 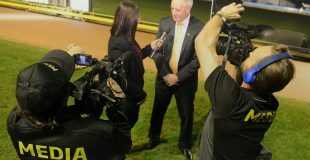 Earlier in the night Lagoon Rhett continued his rich vein of form – click here to read what trainer Terry Reid had to say.